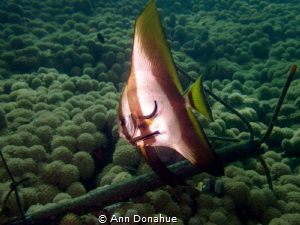 A young Batfish getting a good cleaning in the shallows in the Solomon Islands. 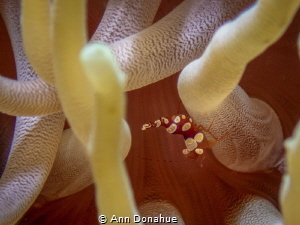 A diver just off the Yap divers boat on top of a reef in the crystal clear waters of Micronesia. 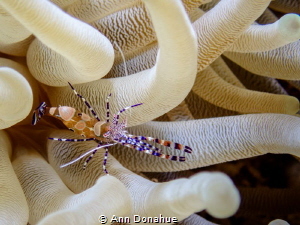 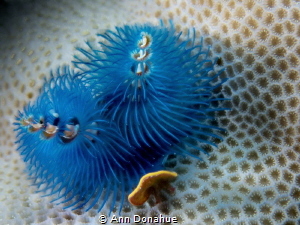 I love Xmas tree worms and this one has such unusual colours! 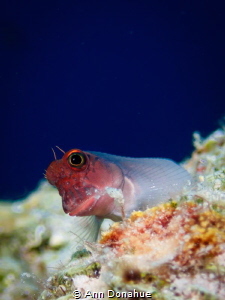 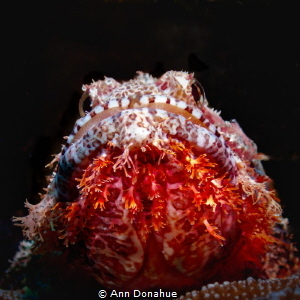 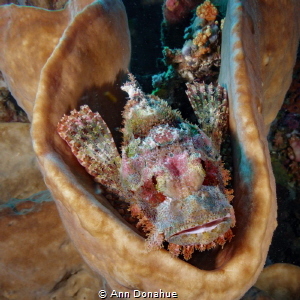 A close-up look at a perched bearded scorpion fish. 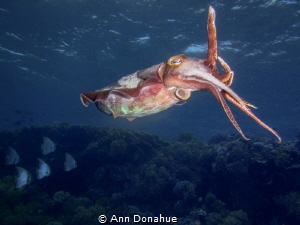 I was focusing on the cuttlefish when a school of Batfish swam by to complete the reef scene! 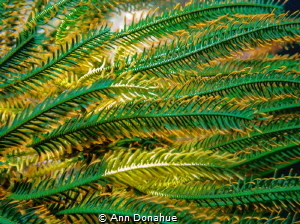 A close-up look at a Crinoid arm. 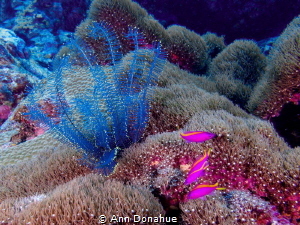 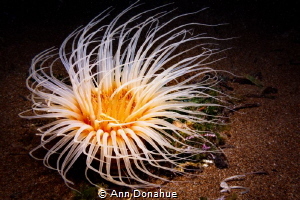 It was easy to spot this vibrant tube anemone in the black sand of Dumaguete. 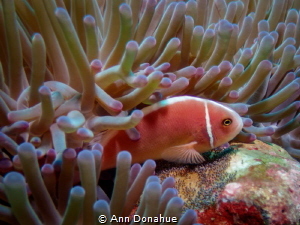 This Pink Anemone fish is fining over its eggs to oxygenate them. 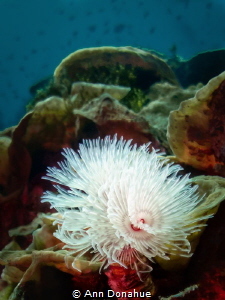 A bright feather duster worm brightening up a bleak background. 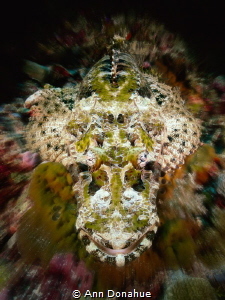 This young Wobbegong shark was lying in a vase coral which provided a colourful background and made its delicate "tassels" really stand out! 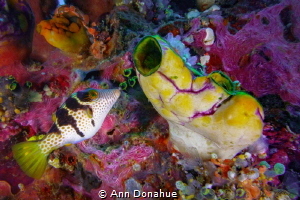 I found this interesting background on a wreck in the Solomons and then this Toby came and posed nicely for me! 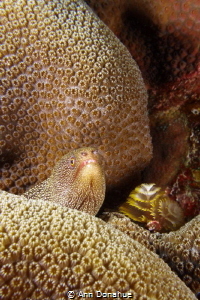 Eel peeking out of corals with Christmas Tree worms. 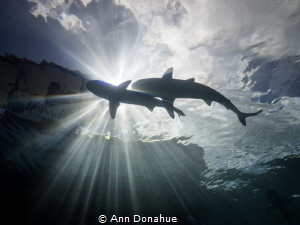 2 beautiful reef sharks happen to cross and block the sunball while clouds and a shadow of the boat is visible through the calm surface. 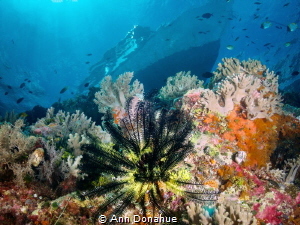 Having so much natural light coming through the clear water, I turned off my strobes and captured this effect. 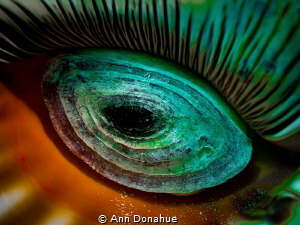 Looks like an eye but what is it? 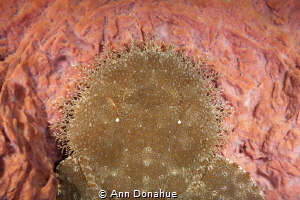 It's the underside of a Triton Shell with the foot of the animal showing! 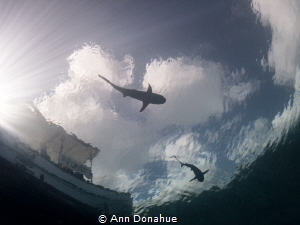 A perfect day to shoot sharks silhouettes in Yap: calm, sunny, clear waters. 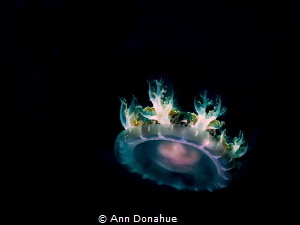 Colourful upside down Jellyfish shot in Yap during an afternoon dive at Slow and Easy, a great macro spot! 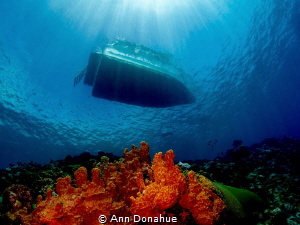 Perfect for a blue Christmas! 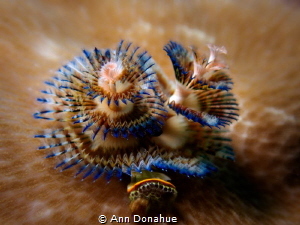 Double Christmas tree worms shot in Yap on a gorgeous drift dive! 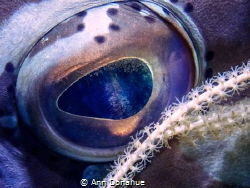 Coral polyps reflection captured in a Nassau Grouper eye.